Most coraciiform species are arboreal in their feeding, breeding, and roosting habits, though a minority of species spend much time on the ground. Most species feed on small animals, especially small vertebrates and large arthropods, and they catch their prey mainly by dropping down from a perch to the ground (e.g., true rollers) or into water (e.g., kingfishers). More aerial species may hover in search of prey (e.g., kingfishers), or they may take most food by hawking it on the wing (e.g., bee-eaters and broad-billed rollers). Many species, such the todies and motmots, combine terrestrial and aerial capture of prey into their foraging repertoire, often in quite different proportions. 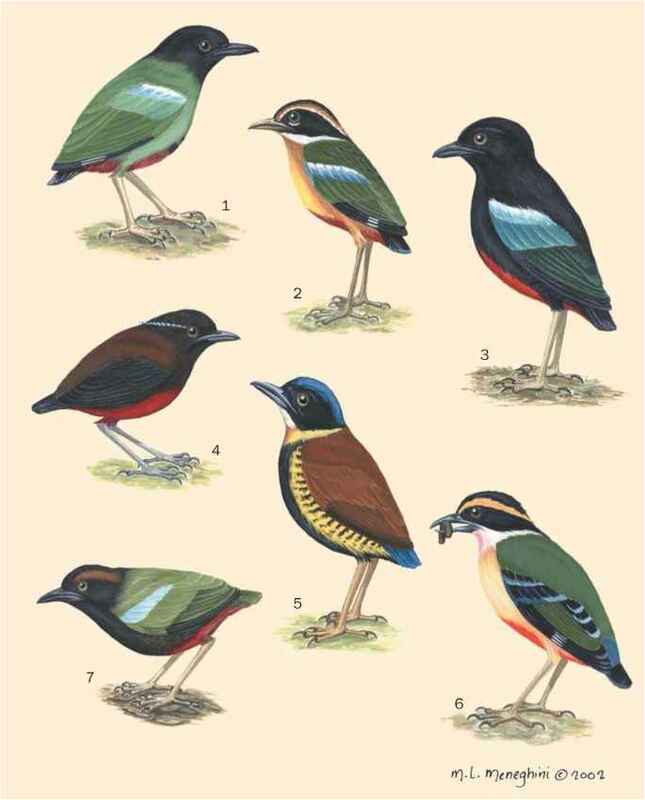 A few species are specialized in their foraging habits or diet; for example, bee-eaters de-venom their prey, cuckoo-rollers concentrate on chameleons, and shovel-billed kingfishers (Clytoccyx rex) specialize on earthworms. A few species collect most of their food while they walk or run about on the ground, such as the common hoopoes and some African hornbills. Other species consume fruit as their main diet and only add animal food secondarily when rearing chicks, as seen for many forest hornbills. be either a natural hole in a tree, a rock face, a building, or the ground, or an excavated tunnel in the ground with a nest chamber at the end. Interestingly, some kingfisher species excavate nest cavities in arboreal termite nests, rotten wood, or even sawdust piles. Most hornbills exhibit the unique habit of sealing the entrance of the nest to form a narrow slit. In all species, both members of a pair generally take part in nesting activities, including defense, construction, and delivery of food. In most species, the female does most or all of the incubation of eggs and the brooding of young chicks, while the male delivers food to the female and the chicks. Only later, when the demands of the growing chicks rise, are both sexes involved in provisioning at the nest. 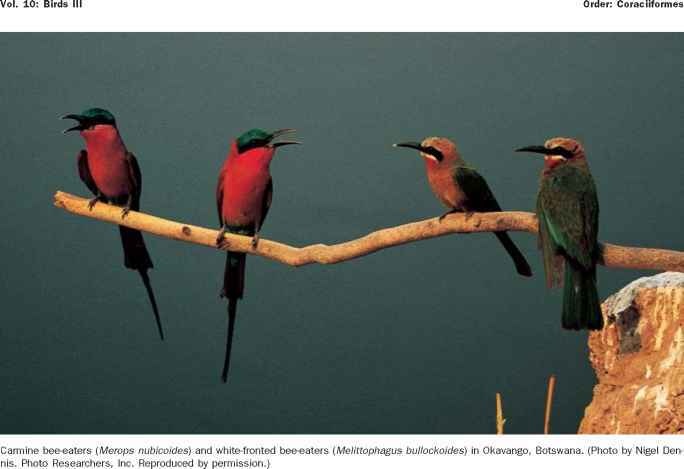 The nesttunnels of bee-eaters, motmots, todies, rollers, and especially kingfishers become quite smelly as nesting progresses due to the accumulation of feces and the remains of food in the chamber. The chicks of hoopoes also produce a noxious odor in the nest, apparently a mixture of preen oil, copious feces, and possibly with the aid of special bacterial products. Only the hornbills practice good nest sanitation, which is accomplished by squirting out feces and tossing out food remains through the partly sealed nest entrance.